Adorable photos of Yvonne Nelson and her babydaddy at their daughter’s first birthday party - SWANKYLOADED OFFICIAL BLOG. 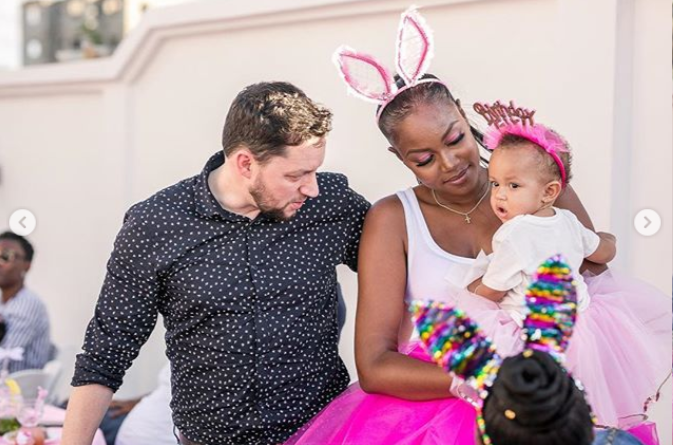 Ghanaian actress, Yvonne Nelson, and her babydaddy, photographer Jamie Roberts celebrated their daughter, Ryn Roberts’ first birthday party with family and friends on Monday. See more adorable photos below.